The biggest sales promo ever was Hollywood. In 1952, Audrey Hepburn side-saddled Gregory Peck's Vespa in the feature film Roman Holiday for a ride through Rome, resulting in over 100,000 sales. In 1956, John Wayne dismounted his horse in favor of the two-wheeler to originally get between takes on sets. By the end of the fifties, Lucia Bosé and her husband, the matador Luis Miguel Dominguín, as well as Marlon Brando, Dean Martin, and the entertainer Abbe Lane had become Vespa owners. William Wyler filmed Ben Hur in Rome in 1959, allowing Charlton Heston to abandon horse and chariot between takes to take a spin on the Vespa. Vespa clubs popped up throughout Europe, and by 1952, worldwide Vespa Club membership had surpassed 50,000. By the mid-1950s, Vespas were being manufactured under licence in Germany, the United Kingdom, France, Belgium and Spain; in the 1960s, production was started in India, Brazil and Indonesia. By 1956, one million had been sold, then two million by 1960. 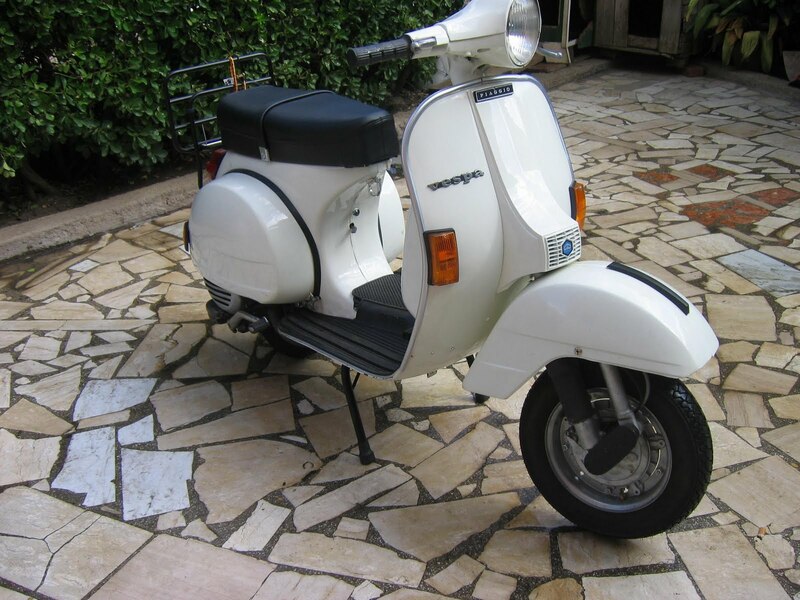 By the 1960s, the Vespa—originally conceived as a utility vehicle—had come to symbolize freedom and imagination, and resulted in further sales boosts: four million by 1970, and ten million by the late 1980s. Between 1957 and 1961 a reverse-engineered and partially redesigned version of the Vespa was made in USSR under the name Vjatka-VP150. Improvements were made to the original design and new models were introduced. 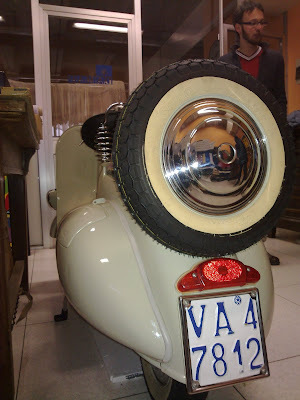 The 1948 Vespa 125 had rear suspension and a bigger engine. The headlamp was moved up to the handlebars in 1953, and had more engine power and a restyled rear fairing. A cheaper spartan version was also available. One of the best-loved models was the Vespa 150 GS introduced in 1955 with a 150 cc engine, a long saddle, and the faired handlebar-headlamp unit. Then came the 50 cc of 1963, and in 1968 Vespa 125 Primavera became one of the most durable of all. 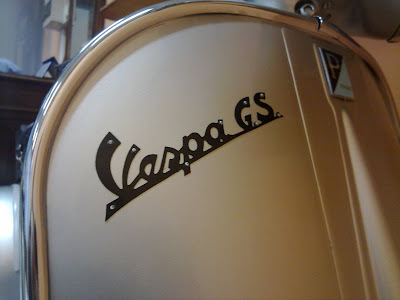 Vespas came in two sizes, referred to as "largeframe" and "smallframe". The smallframe scooters came in 50 cc, 90 cc, 100 cc, and 125 cc versions, all using an engine derived from the 50 cc model of 1963, and the largeframe scooters in 125 cc, 150 cc, 160 cc, 180 cc, and 200 cc displacements using engines derived from the redesigned 125 cc engine from the late 1950s. The largeframe Vespa evolved into the PX range in the late 1970s and was produced in 125 and 150 cc versions until July 2007. The smallframe evolved into the PK range in the early 1980s, although some vintage-styled smallframes were produced for the Japanese market as late as the mid 1990s.